The third annual Royal City Uke Fest is coming! Don’t miss your chance – it sold out fast last year! This year, you can opt for one or two days of ukulele goodness, including two fabulous evening concerts! The 2019 Royal City Uke Fest will feature interesting workshops from engaging teaching artists; a big, fun massed ukulele strum-along of 225 ukulele superstars (that’s you! ); cool goodies at our vendor tables; and to top off each day, an awesome evening concert featuring our teaching artists. Our warm and wonderful Friday evening concert will feature Kevin Carroll, CROW, and Olivia Borkosky (plus a fun surprise to kick it off!). 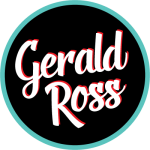 Saturday’s evening show will see Gerald Ross, Abe Lagrimas Jr., and Jack and the Vox (Victoria Vox and Jack Maher) take the stage. Read all about our teaching artist line-up here. Guelph, located just an hour west of Toronto in Southern Ontario, is a uniquely wonderful city that features a wealth of delicious restaurants, a vibrant arts and culture scene, a beautiful university campus and more. It’s the perfect location for our Royal City Uke Fest! Visit the Guelph Tourism website for more information about what to do, where to stay, and how to get here. Use this link to book your stay at Holiday Inn Guelph and you’ll receive a special Uke Fest discount. A limited number of festival discount rooms are available.